Earlier this month, I was contacted by The Devon Fudge Company asking if I would be interested in baking with some of their delicious fudge. Being the sweet-toothed gal that I am, I jumped at the chance. Fudge is one of my favourite sweet treats, so I was super excited to be able to choose a flavour for my recipe. I am a gal with a serious orange addiction, so when I saw that Zesty Orange Chocolate Fudge was an option, I knew I had to try that one. 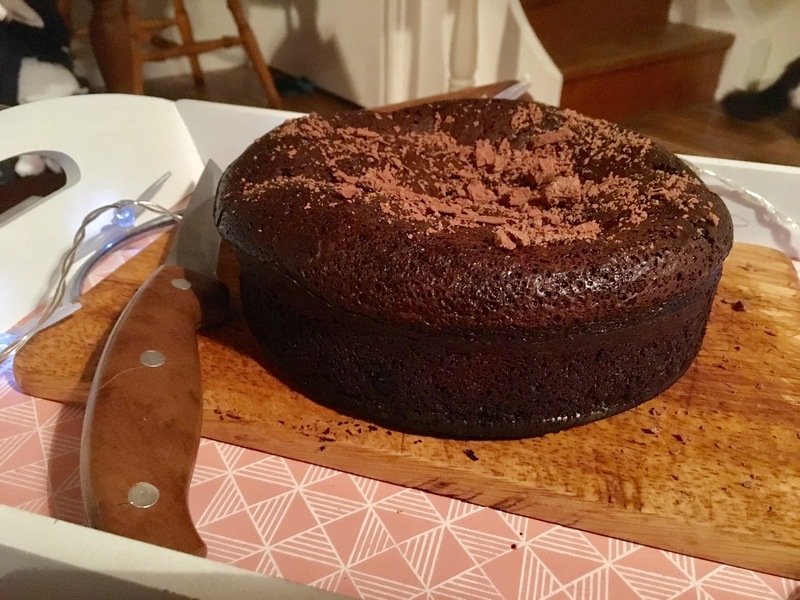 As I am also a real chocolate cake addict, I thought I would bake the fudge into my favourite chocolate cake – gluten-free chocolate mousse cake. I mean, what could be better than chocolate mousse cake with orange-flavoured fudge in? This is a cake that the fiance and I stumbled across by accident a couple of years ago. It was a Sunday, we were at home and I had a massive craving for something sweet, so he said he’d whip me up a little something with the ingredients we had in the cupboards, and that little something turned out to be mousse cake! 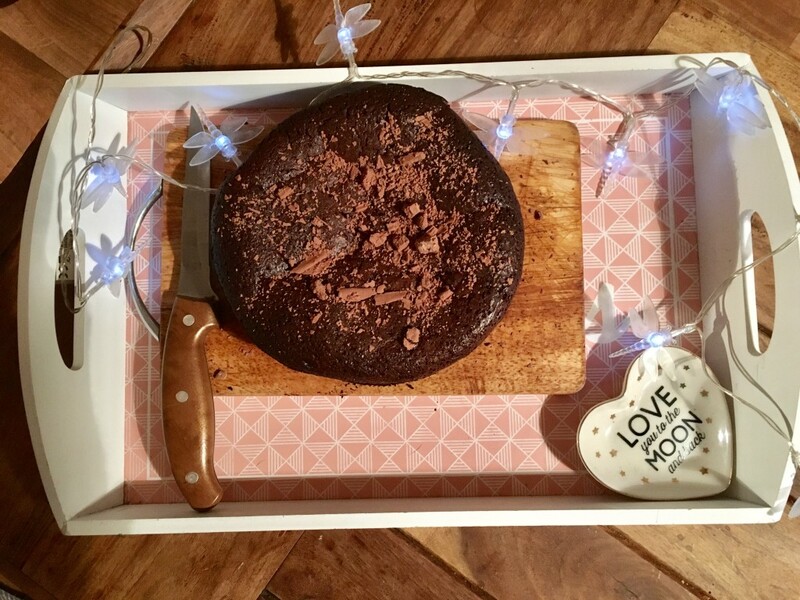 Ever since then, mousse cake has become my go-to treat because it’s quick and easy to make, is gluten-free so my mum can eat it (she’s got a gluten intolerance), and tastes incredible – it’s like a combination of chocolate souffle and gooey chocolate brownies. Before I started baking, I tried out some of the fudge to see how strong the orange flavour was, so that I knew how much I would need to add to my cake batter. I must say that I loved the taste, the fudge has a zesty orange taste that pairs perfectly with the rich chocolate it’s combined with. Unlike a lot of fudge, the texture wasn’t crumbly, it was more chewy – I actually prefer chewy fudge so for me this was ideal. Step 1: Preheat the oven to 180C, 160C for a fan oven, or gas mark 4. Step 2: Line the base of a 20 cm cake tin with a pop out base with baking paper and grease with a small amount of butter. Step 3: Put the chocolate, fudge and butter into a heatproof dish over a saucepan of simmering water to melt, making sure not to burn the butter or get any water in the bowl. Alternatively, place the chocolate, fudge and butter in the microwave and heat for 2 minutes, stir, and then heat for a further 3 minutes, or until the ingredients are melted together. Step 4: In a separate bowl, crack the eggs and add the sugar, then using a hand-held electric whisk, whisk until the mixture becomes pale and light and is able to form stiff peaks – you’re looking for a raw meringue-like consistency. Step 5: Fold the melted chocolate, fudge and butter into the eggs and sugar, until fully combined, then pour into the greased and lined cake tin. Place in the oven and bake for around 20-minutes, or until the cake is almost set. Step 6: Once you have removed the cake from the oven, leave to cool for at least 20-minutes before attempting to cut it, otherwise it will collapse.